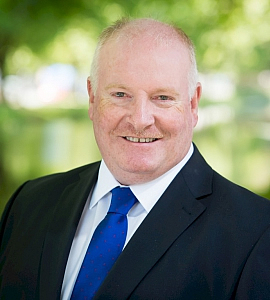 A Fellow of the Institute of Certified Public Accountants in Ireland, Brendan has more than 25 years’ experience in the specialist area of corporate recovery. He is a founding member of the Irish Society of Insolvency Practitioners (ISIP) and a member of the European Insolvency Practitioners Association (INSOL Europe). Brendan’s work spans creditors’ and members’ voluntary liquidations, High Court liquidations, receiverships, examinerships and corporate restructurings. Widely recognised for his expertise in corporate insolvency, he provides litigation support and forensic accounting services and is also an authorised personal insolvency practitioner. Brendan is a member of the Consultative Committee of Accountancy Bodies in Ireland (CCABI Insolvency) and chairs the Insolvency Sub-Committee of the Institute of Certified Public Accountants in Ireland. He has written and lectured extensively on restructuring and insolvency and is frequently quoted in business publications and the general media.